It's 13:10 in Gifhorn, Germany right now. Market Square View of the market square of Gifhorn in front of the town hall in the pedestrian area. Warmenau: Wolfsburg-Warmenau Stork's Nest , 8.8 miles away. Eltze: Weathercam, 12.2 miles away. 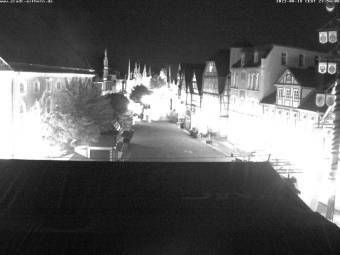 Braunschweig: Several Webcams in Braunschweig, 15.4 miles away. Vechelde: Wetterstation Vechelde, 17.2 miles away. Celle: View onto the Stechbahn, 21.8 miles away. Salzgitter: Salzgitter-Bad Market Square, 24.8 miles away. Salzgitter: Pilgrimage Church Engerode, 24.8 miles away. Salzgitter: Oberer Marktplatz, 24.8 miles away.